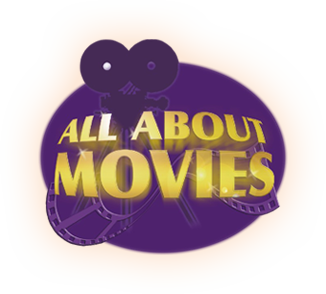 All About Movies believes in providing the best possible service and product to its customers. We treat our customers as we would want to be treated when buying Australian Movie Daybill Posters, One Sheet Movie Posters, Movie Lobby Cards, Movie Stills, Australian Movie Photosheets and Movie Press Sheets for our own personal collections. Our customers are the life blood of our business, one that we are very passionate about. See what our customers have been saying in the testimonials below. Hi Ben, Just letting you know i have received all the posters and i'm extremely happy cheers for your awesome professionalism..best wishes Troy. Thank you for the quick postage of my daybills; they arrived in great nick! Your note regarding the posters that you have more of was intriguing – I’m always looking for more horror and thriller titles! Thank you very much for your prompt email. I am excited about the Daybill and just know my son Tom will love it. 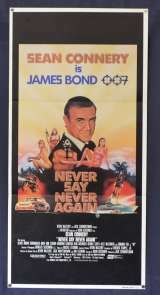 An earlier, favourite order from you was a Never Say Never Again Daybill which framed up beautifully. Local Hero arrived safely and in fine condition on Friday, it must have been very difficult to find ? Thanks very much for all your efforts. Greatly appreciated, and I will have no hesitation in using your services again and recommending you to others.Cheers," David. The posters arrived this morning! Wow! I wasn't expecting Express Post, so that was a nice surprise. Thank you very much. Hi there, I just thought you might like to know how happy I am with your service...I got "The Eagle Has Landed" poster on my office doorstep at 8.17am...excellent service, Matthew. I've been buying an awesome array of Aussie Daybill posters and the odd Aussie one-sheet poster from "All About Movies" since the start of 2011. Thank you All About Movies for sending the Terminator Poster, we received it last night and looks AMAZING, we are so pumped! I am just organising a frame for it now to match my other poster in the room. Just received the posters today and they are brilliant. Just like to say a BIG Thank You for for service and communication and I will be doing business again in the future, Many Thanks Anthony. I received the 9 1/2 Weeks posters today, they look great. Thanks again regards Chris. Good news! The poster arrived safe and sound today in Canada. Looks in great shape, especially the fold lines.Thanks for the secure packaging. The poster is going to look nice (once it’s mounted) on my son’s wall. I want to thank you for your help in acquiring the rare 1938 poster from 'The Buccaneer' and getting it shipped to Louisiana USA so quickly.